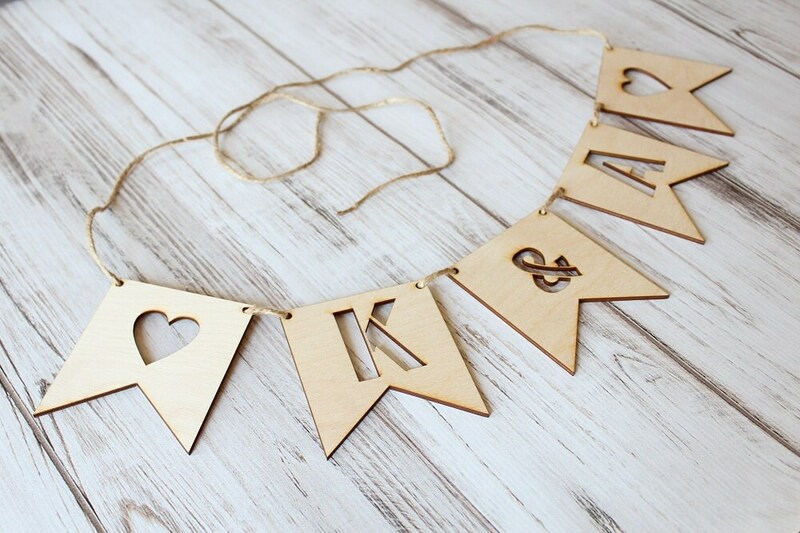 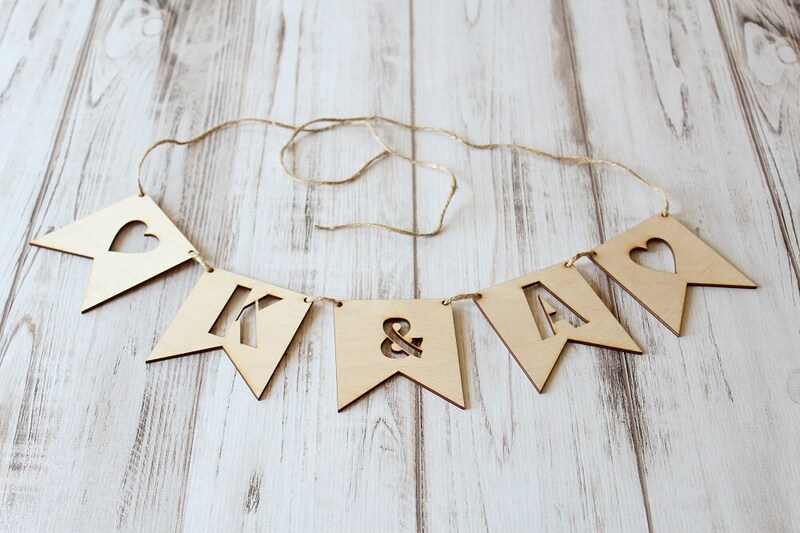 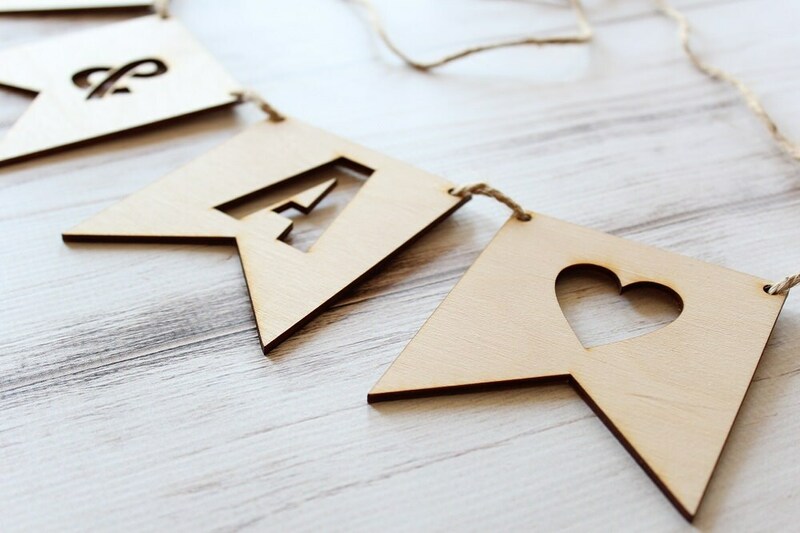 ♥ (5) pennant banners laser cut from 1/8" baltic birch. 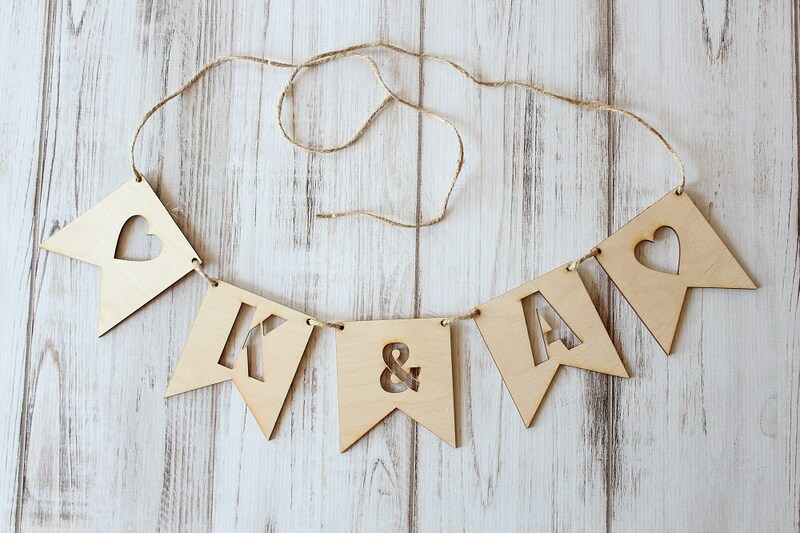 ♥ 3' piece of jute twine is included for hanging. 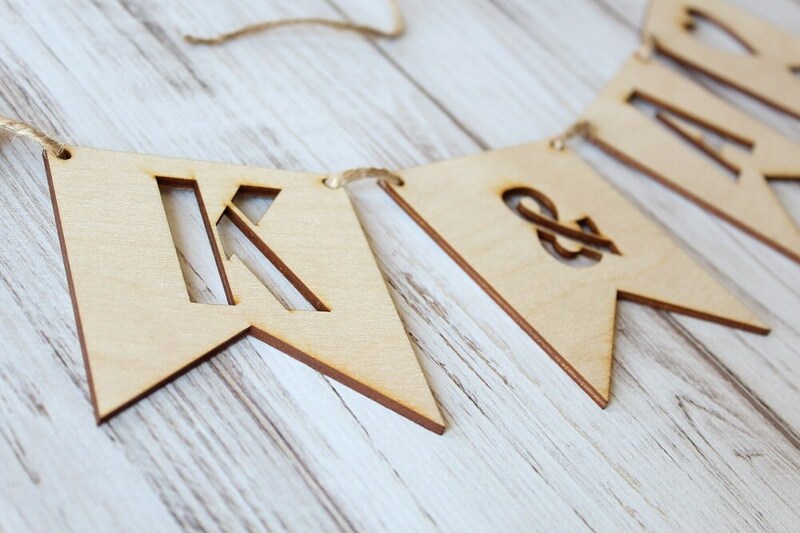 Each Pennant measures: 3.5" x 4"